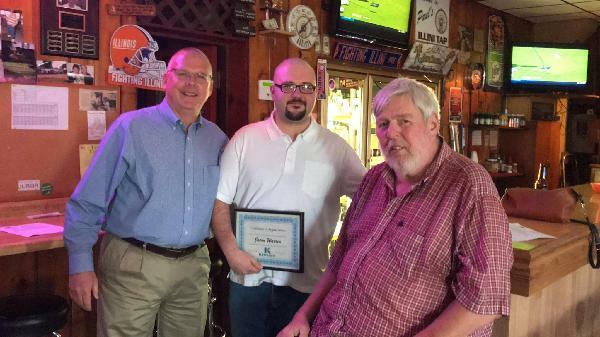 Mayor Looney presented a certificate of appreciation to Jason Warren, a bartender at Illini Tap for his quick action in administering CPR to Bob Braden. Mr. Braden went into cardiac arrest on October 12, 2017. Jason was nearby and quickly gave Mr. Braden CPR saving Bob's life. Mayor Looney presented the certificate to Mr. Warren on Friday, October 20, 2017. Please join us in thanking Jason for his service to his fellow community member.